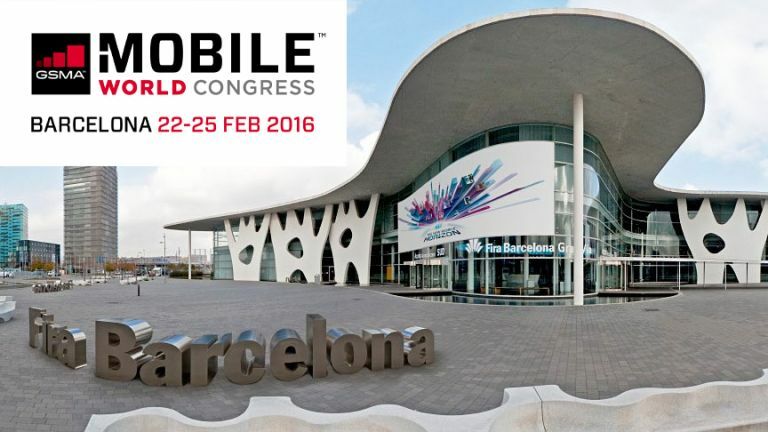 Photo-essay from Mobile World Congress - what's it like at a large tech show? The highly anticipated Galaxy S7 and S7 Edge were revealed on Sunday. Winner of the best smartphone crown at last year's T3 Awards, the current Galaxy S6 WAS Samsung's best ever phone (even though it didn't set the world alight in terms of sales). It's still top of our list of the best mobile phones, but looks soon to be overtaken by the Samsung Galaxy S7. Samsung also surprised us with a futuristic looking 360-degree camera, aptly named the Gear 360. Interested in making your very own VR video? The rather premium-looking LG G5 has now been announced. It features several new accessories - which LG says makes the phone 'modular' including a High-res Audio Player from B&O. There's also a removable slide-out battery and a microSD card slot - looks like LG are onto something! Not only did LG announce a new flagship phone, the company also revealed some exciting accessories, including a tiny (and we mean tiny, in comparison) VR headset, and a 360-degree camera, similar to Samsung's. The VR headset is the star here. Compared to Samsung's Gear VR it's much lighter, two-thirds lighter, in fact, weighing in at 117g. You don't put your G5 inside of the headset, instead you plug it in using a USB-C cable. Inside is a 1.88-inch 720p display, pumping out an impressive 639ppi. LG claim battery life is good for 70 minutes of constant video streaming. Not bad. Alongside that, LG also announced a 360-degree camera, allowing you to film VR footage to play back on the headset. Finally, straight out of left field, the South Korean company also unveiled a rolling robot, which resembles the BB-8 Droid from Starwars. Designed to help protect your home and monitor it while you're away, the little fella features an 8MP camera, and two infrared sensors, allowing you to control heating, TV or the air con. HTC decided not to announce the HTC One M10 at MWC 2016 (BOO! ), instead sticking with their current One A9 handset and HTC One M9 line up. Crucially, though, we also got some more details on the HTC Vive Pre VR headset, particularly more on the pricing and release date. We did also see a new mid-range smartphones from HTC, in the form of the Desire 530. We really love the appearance of the phones, taking inspiration from 'streetwear style' with an attractive and unique splash effect. No flagship from Sony at MWC this year, instead we got the impressive mid-range X models. There are two you need to know about, the Xperia X, and Xperia XA. They're very attractive, and well spec'ced, certainly worth a look if you don't want to plump for the more expensive flagship phones. Huawei took a break from launching a new smartphone every five minutes (the Nexus 6P is rather awesome) to reveal an iPad Pro and Microsoft Surface rival. The 12-inch MateBook (surely this name is a pun?!) is lighter than both, and features an impressive 10-hour battery life. HP released a device that aims to be your smartphone, laptop, and desktop. It's a powerful 6-inch phablet called the Elite x3. It runs Windows 10, packs Snapdragon 820, 4GB RAM, 64GB internal storage, and large 4,150mAh battery. HP is releasing two accessories alongside the device, a Desktop Dock, allowing you plug in a monitor and accessories, and a 'Mobile Extender' which is essentially a laptop shell with dock for the Elite x3. There are no pricing or availability details yet, but HP is clearly going after the business market with this device. ZTE announced two new smartphones, the Blade V7 and Blade V7 Lite. They're reasonably attractive iPhone-clones with moderate spec, and will probably be very affordable. Lenovo unveiled three tablets packing awesome Dolby Atmos tech. The company also showed off updated YOGA tablets, with improvements in weight, connectivity and battery life. Of course, we will be bringing you all the latest news from Mobile World Congress, but in the meantime check out our guide to the currently-available best smartphones. Oh, and don't forget there will be another big new phone this year - the iPhone 7.